Fixing an elegant dinner is incredibly easy! 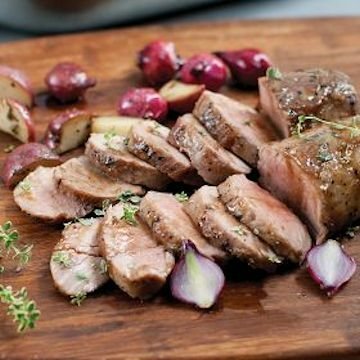 Four tender, moist Pork Tenderloin Roasts, with Natural Pork Seasoning make elegant entrees. And to complement your main dish, enjoy Herb Roasted Potato Wedges and Sweet Corn Medley. Meal serves 4. Requires cooking.